Jana brings us 22260/20/805 MIRAJA 81. These pretty navy wedge shoes are perfect for summer whether you wear them to work or when going out to lunch with friends. 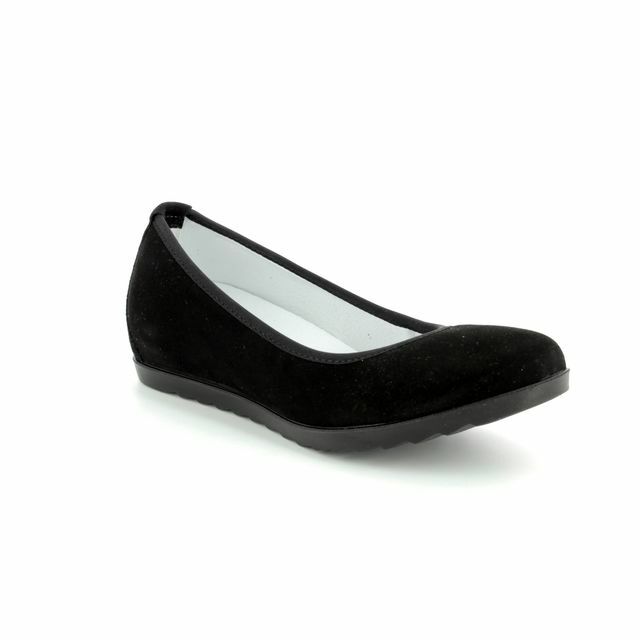 The upper is made from a soft synthetic suede and is lined with a soft textile. The footbed is covered with a soft fabric lining for your comfort. The top line of the shoe is made from elastic to help ensure the shoe stays on the foot while wearing. These low edge shoes have a more generous width fitting making them ideal for those with a wider foot. The strap embellishment across the front of the shoe has a cut out flower-inspired design that is enhanced by a metallic underlay and toning sparkle studs. The synthetic rubber sole is textured for increased traction while wearing. The heel height measures 3cm. Buy your Jana women's wedge shoes from Begg Shoes, an official Jana stockist.